Chamillionaire, you done did it again. For the second time Houston's own Hakeem Seriki is at the top of our "important videos" list chronicling one 12 month span. He didn't just earn the spot by "being hot" - MIMS was that and he didn't even crack the top ten. The reason Chamillionaire shows up at the top again is because of the creativity of the "Hip Hop Police" video, a hard hitting song produced by J.R. Rotem, with accompanying visual directed by Marc Klasfeld. 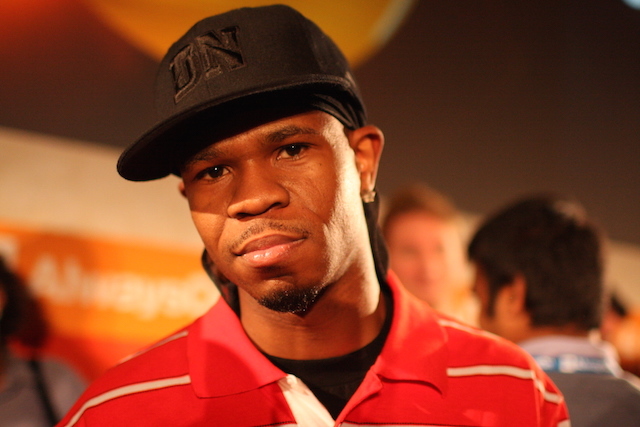 Like the song itself, Chamillionaire is both the protagonist AND the antagonist, being questioned by law enforcement after an unreasonable stop with no prior evidence he had done or was doing anything wrong. Although the song resonates with #BlackLiveIssues prevalent in dealing with law enforcement today, it also very much reflects the times it's from, when many large cities in the U.S. had a "rap task force" specifically to harass and/or arrest hip-hop stars. Part 2 of the "20 Important Rap Videos of 2007" HERE. 1.) Chamillionaire f/ Slick Rick - "Hip Hop Police"
2.) T.I. - "Big Things Poppin'"
3.) DJ Khaled f/ Akon, Birdman, Fat Joe, Lil Wayne, Rick Ross, T.I. - "We Takin' Over"
4.) Kanye West - "Can't Tell Me Nothing"
5.) Lil' Boosie f/ Lil' Phat - "Independent"
6.) Hurricane Chris - "A Bay Bay"
7.) Baby Bash f/ T-Pain - "Cyclone"
8.) Playaz Circle f/ Lil Wayne - "Duffle Bag Boy"
9.) Soulja Boy Tell'em - "Crank That"
10.) Shop Boyz - "Party Like a Rock Star"